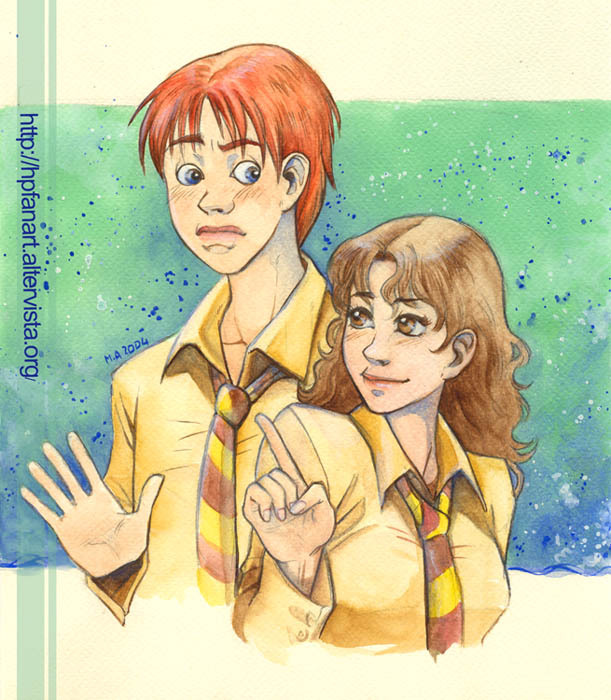 Ron and Hermione. . Wallpaper and background images in the romione club tagged: ron hermione romione harry potter fan art image mary-dreams weasley granger. Hahahah look at Ron's face!Nicely done, PLEASE post more!